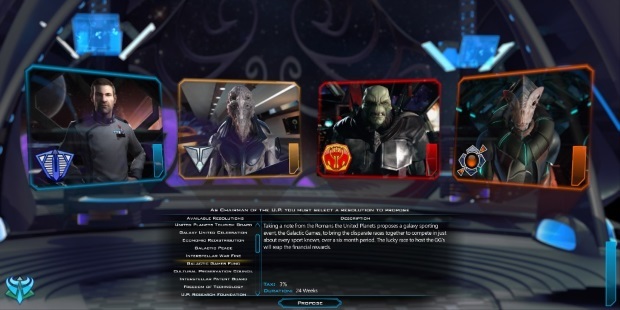 Last week saw the release of a diplomacy patch in Galactic Civilizations III, and this Monday, the development team is reporting that four times the amount of players (since Beta 2 went live on Steam) started playing the game this weekend. For those who’d like to see Diplomacy in action, a new video has been released that showcases how the feature has changed, as well as get a look at the newly playable Krynn race, who are as religiousy as ever, but far more organized in their approach to crushing your galactic soul. The full patchlog can be found here: http://forums.galciv3.com/458426.